Xiaohong (Sharon) Gao is Professor of Vision and Imaging Science at the Department of Computer Science, Middlesex University, London. 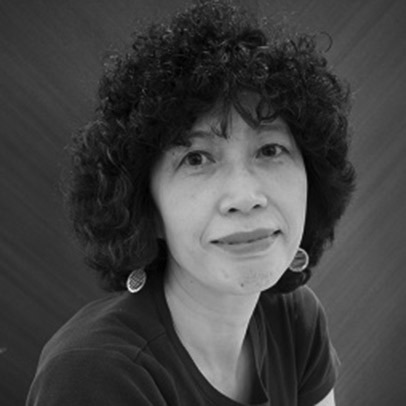 She obtained her BSc in Applied Mathematics in 1984 and MSc in Computer Graphics in 1989 in China. After being award PhD on Modelling Colour Appearance in 1994 by Loughborough University, she worked on medical images for several years. Firstly she joined St Mary’s hospital at Imperial College working on retinal images. Then she worked on brain imaging at Addenbrooke’s Hospital at the University of Cambridge. Subsequently, she took an academic post at Middlesex University, where as a principle investigator or coordinator, she led a team working on the development of 3D brain image databases in collaboration with the Addenbrooke’s Hospital, the project that was funded by the EPSRC (2001-2004, GR/N38725/01). Built on these successes, she later coordinated an EC funded networking project of TIME (Tel-imaging in Medicine, 2005-2007). More recently, as a coordinator, Xiaohong has completed an EU FP7 Marie Curie project on Warehousing Images in the Digital Hospital: Interpretation, Infrastructure, and Integration (WIDTH, 2011-2014) with 11 partners. She was also a principle investigator for a number projects funded by the UK research councils, including Motion Correction for PET Imaging Scanners (British Council 2008), Content Based Medical Image Retrieval and Medical Image Repository (JISC, MIRAGE and MIRAGE2011, 2009-2011). She has been a peer review college member for AHRC since 2008. Gao X., Li W., M. Loomes, Wang Li., A fused deep learning architecture for viewpoint classification of echocardiography, Information Fusion, 36:103-113, 2017. (IF=5.667). W. Li, Y. Qian, M. Loomes, X. Gao, The application of KAZE feature to the classification of Echocardiogram videos, MRMD 2015, LNCS 9059, pp.61-72, 2015 . Gao X, Feaure-wise representation for both still and motion 3D medical images, 2014 IEEE Southwest Symposium on Image Analysis and Interpretation (SSIAI), San Diego, USA, 2014, pp. 1-4..
Qian, L. Wang, C. Wang, X. Gao, The Synergy of 3D SIFT and Sparse Codes for Classification of Viewpoints from Echocardiogram Videos, in H. Greenspan et al. (Eds. ):MCBR-CDS 2012, LNCS 7723, pp. 68–79, Springer, 2013. Gao X., Y. Qian, M. Loomes, R. Comley, B. Barn, A. Chapman, J. Rix, R. Hui, Z. Tian, Retrieval of 3D Medical Images via Their Texture Features, International , International Journal On Advances in Software, 2011 no 3&4, 2012. Gao X., Loomes M., Comley R., (Book Chapter), Bridging the Abridged – the Diffusion of Telemedicine in Europe and China, in Rodrigues, Díez, Sainz eds., Telemedicine and E-Health Services, Policies and Applications: Advancements and Developments, pp 451-495, IGI Global, 2012. Gao X.W., The anatomy of Tele-neurosurgery in China, International Journal of Telemedicine and Applications, Volume 2011, Article ID 353405, 2011. DOI:10.1155/2011/353405. Gao X. W., Y. Qian, R. Hui, The state of the art of medical imaging technology: from creation to archive and back, The Open Medical Informatics Journal, 2011, 5 (Suppl 1) 73-85. Gao, Xiaohong W. and James-Reynolds, Carl and Currie, Edward (2018) Analysing TB severity levels with an enhanced deep residual learning– depth-resnet. In: ImageCLEF ImageCLEFtuberculosis competition, 10-14 Sept 2018, Avignon, France. Gao, Xiaohong W. and Qian, Yu (2018) Segmentation of brain lesions from CT images based on deep learning techniques. In: Biomedical Applications in Molecular, Structural, and Functional Imaging, 10-15 Feb 2018, Houston, Texas, United States. Gao, Xiaohong W. and Qian, Yu (2017) Application of deep learning neural network for classification of TB lung CT images based on patches. In: ImageCLEF / LifeCLEF - Multimedia Retrieval in CLEF: CLEF 2017: Conference and Labs of the Evaluation Forum, 11-14 Sept 2017, Dublin, Ireland. European Commission (FP7), (EUR 416,000 ): Warehousing images in the digital hospital (WIDTH): interpretation, infrastructure, and integration (2011-2014). The Royal Society (£4,000): Traffic Sign Recognition. Gao X., Li W., M. Loomes, Wang Li., A fused deep learning architecture for viewpoint classification of echocardiography, Information Fusion, 36:103-113, 2017. (IF=4.35). Gao, X., Hui R., Tian Z., Classificaiton of CT images based on deep learning networks,Computer Methods and Programs in Biomedicine, 138:49-56, 2017. Gao X., Wang, Y. Qian, A. Gao, Modelling of chromatic contrast for retrieval of wallpaper images, Color Research and Application, 40(4):361-373, 2015. Qian, R. Hui,X. Gao, Retrieval of 3D surgical path based on sparse coding for image-guided neurosurgery, Signal Processing, 93(6), pp1673-1683, 2013. Gao X., Y. Qian, M. Loomes, R. Comley, B. Barn, A. Chapman, J. Rix, R. Hui, Z. Tian, Retrieval of 3D Medical Images via Their Texture Features, International, International Journal On Advances in Software, 2011 no 3&4, 2012. Gao X.W., Anishenko, D. Shaposhnikov, L. Podladchikova, S. Batty, J. Clark, High-precision Detection of Facial Landmarks to Estimate Head Motions Based on Vision Models, Journal of Computer Science, 3(7):528-532, 2007. Gao X.W., Podladchikova, D. Shaposhnikov, Recognition of traffic signs based on their colour and shape features extracted using human vision models, Journal of Visual Communication and Image Representation, 17:675-685, 2006.